The Bottineau Courant was founded in 1885 by William Bickman with the first edition published on August 11, 1885. The newspaper was originally named The Pioneer. The newspaper was founded when Bottineau was part of the Dakota Territory (four years prior to North Dakota becoming a state). In 1895 J.C. Britton purchased The Pioneer and changed its name to the Bottineau Courant. The main focus of the newspaper is to publish local, community and county news. The employees strive to publish a quality newspaper that people trust and support. Every week the newspaper prints 3,000 copies to be distributed to subscribers and counter sales. 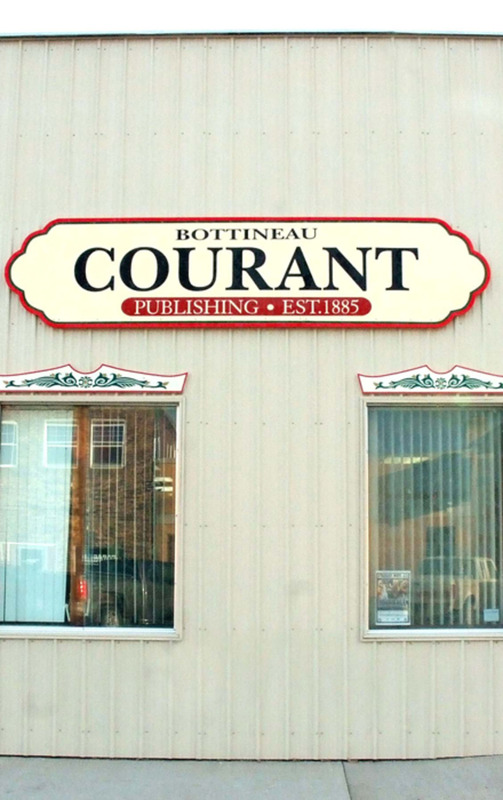 The Bottineau Courant has proudly been the official county newspaper since 1916.